Catriona Hatton is the partner in charge of the firm’s Brussels office and co-chair of the firm’s global antitrust and competition law group. Her practice focuses on EU competition law. 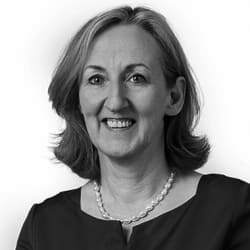 Catriona has extensive experience advising on EU and national competition law aspects of international mergers, including filings under the EU Merger Regulation and coordinating global merger filings. Catriona is co-chair of the International Bar Association’s merger working group. Catriona advises on compliance with competition rules in a wide range of commercial agreements. Her compliance work has frequently involved the conduct of antitrust audits and the design and implementation of compliance programmes. Catriona has represented clients in complaints to, and investigations by, the European Commission and numerous national competition authorities. She advises clients in a number of sectors, including pharmaceuticals, mining, media and entertainment, automotive and energy. Catriona is recommended in Chambers Europe (2018) as ‘a dynamic leader’ who ‘truly partners the client to drive optimal results’. She is also recommended in Chambers Global, where she is particularly praised for her client service and her work in international merger control. She was named one of the leading ‘100 Women in Antitrust’ by Global Competition Review in 2009, 2013 and 2016. She received Euromoney’s Women in Business Law Award for the Best in Competition and Antitrust (2014). Catriona is also listed in Who’s Who Legal: Competition (2017) and was named ‘Lawyer of the Year’ in European Union law (Brussels) by Best Lawyers (2018).